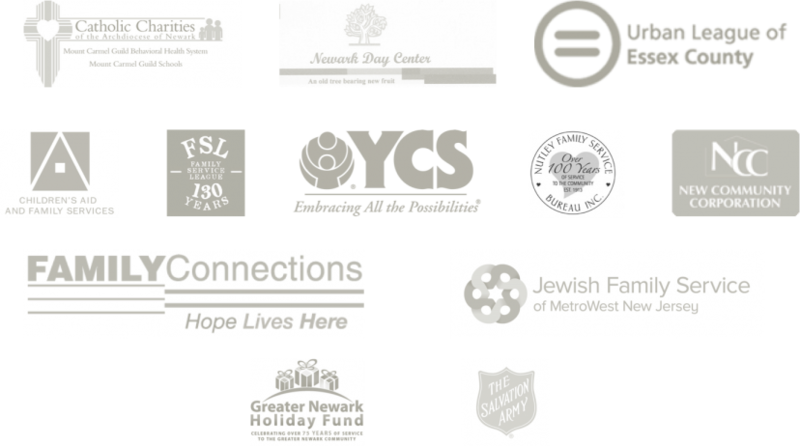 For 80 years, the Greater Newark Holiday Fund has partnered with 10 social service agencies to make the holidays brighter for our neighbors who need it the most. We serve your neighbors in New Jersey because we love them as much as you do. You make a difference in your community. "The help from Children's Aid and Family Services (made possible by Holiday Fund) motivates me to be so much more and to challenge myself because I know that I can, and will, do the impossible with a little help." Ready to make a difference that counts? ONE donation from you. Support for TEN agencies. tax deductible to the fullest extent allowable by law. Download our FREE PDF "DO NOT Donate To Another Charity in NJ Until You Read This Report"
Simply enter your email and we'll send it right away. COPYRIGHT © 2018 Greater Newark Holiday Fund, Inc.